Ask someone why they shop at Charlie’s Hardware and this is what they will most likely tell you: The people there really know what they are talking about. In an era of big box stores, knowledge can be a rare commodity. Not at Charlie’s. We’ve been in business since 1957 — that’s nearly six decades of experience supplying families in the greater Mosinee area with the appliances, tools, hardware, building materials, lawn and garden equipment, and sporting goods they need. That experience informs every purchase decision we make and it’s why we have nearly 67,000 items ready for you in our warehouse and on site. After nearly 60 years in business, we also have the answers and skills people need. Don’t know how to install a point well or what to purchase? We can help. Have questions about a home project? We have ideas. Have a plumbing emergency, a broken appliance, or a do-it-yourself project gone wrong? 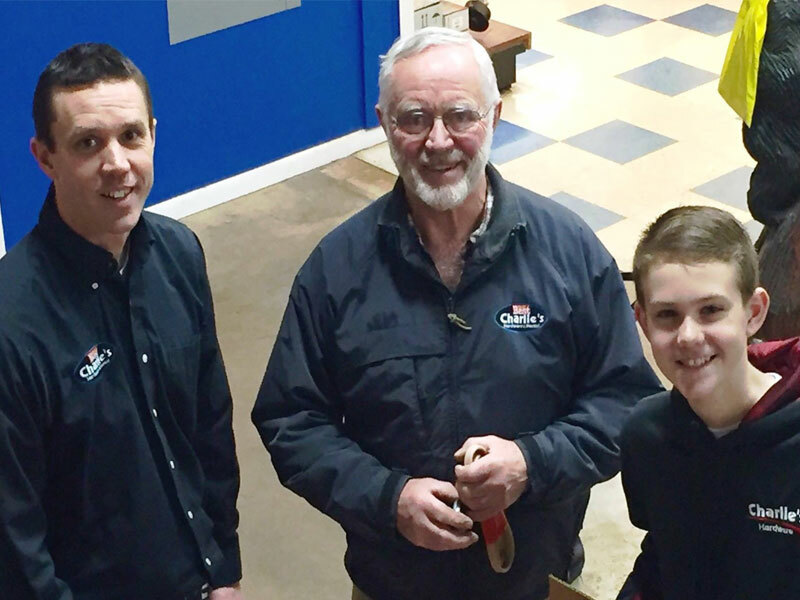 Call our licensed plumbers (#651196), small engine repair mechanics, or LaRue Borth — the area’s most knowledgeable and dedicated appliance service repairman with 40-plus years of experience. The key to our success has been, and always will be, service. We can help you get the job done right. 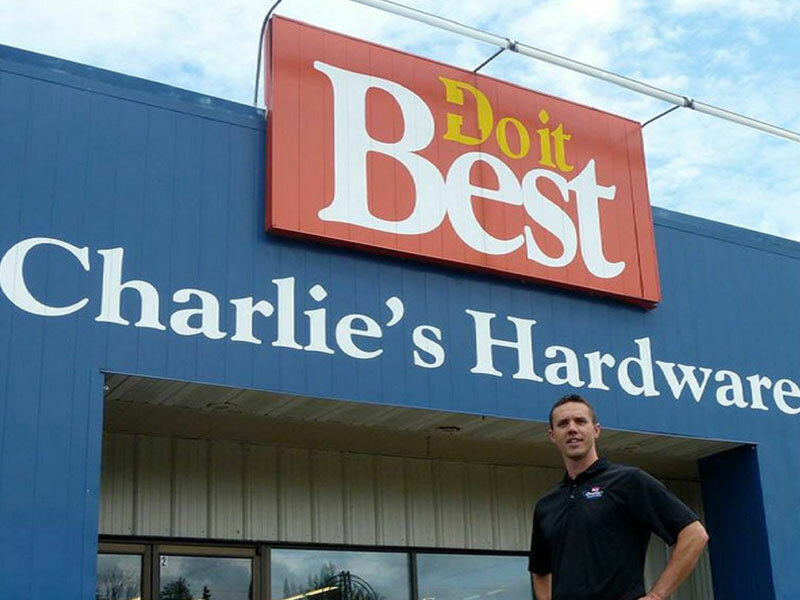 Charlie’s Hardware is a family-owned business that was founded by Charles and Agnes Kyhos in 1957, and then purchased by Chuck and Kathy Kyhos in 1972. Charlie’s Hardware was relocated from downtown Mosinee to its present location in 1979 and has expanded from 3,200 square feet to 20,000 square feet. It is now proudly owned by the third generation of the Kyhos family — Jeff and Pamela.